As we celebrate the 100 year anniversary of the National Parks, Backpacker’s Ted Alvarez has created a book heavy enough to be a door stop, yet valuable enough you’ll never put it down. 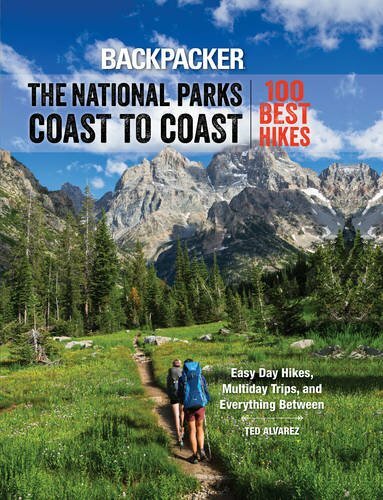 From Alaska and Hawaii all the way to Maine and Florida, this books packs the best of the National Parks into an easily digestible book. You will immediately be inspired to grab a friend, your spouse and even your kids and head out the door for an instant adventure. The trails are well described and they seem to favor the more deserted vistas like the 96 mile Maah Daah Hey Trail in Theodore Roosevelt National Park. Of course you’ll also find the must-do Angels Landing in Zion and Half Dome in Yosemite. Yosemite photo by Luke Pamer.